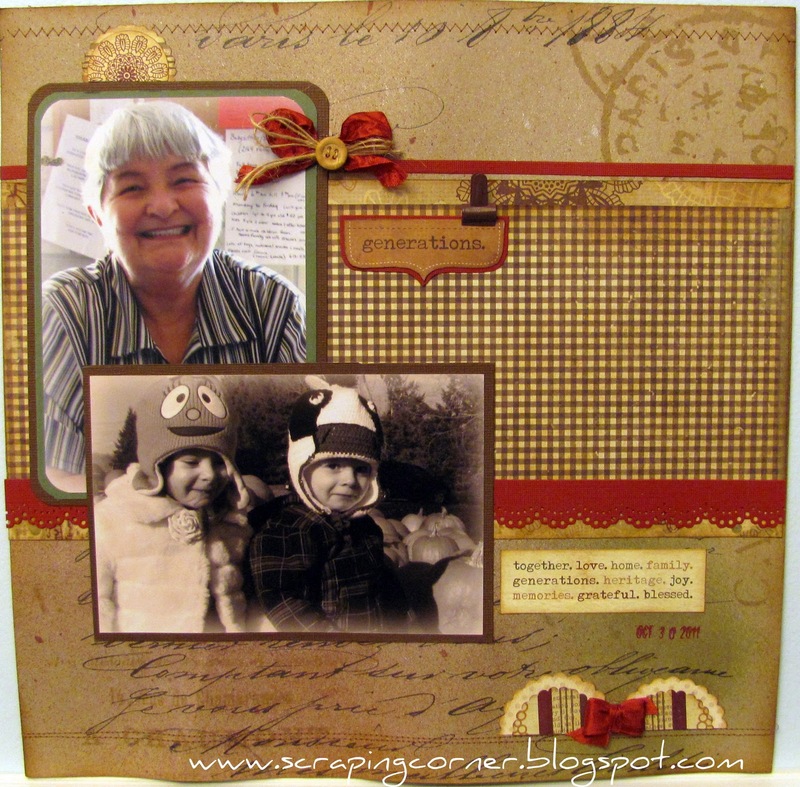 Sharing a few layouts I did recently for Tina's Scrapbooking Creations. I must say there haven't been many wants from this CHA - nothing that stands out on its own. There are a few nice lines, but I've not been impressed with any whole collection. Not like in years past. I hope this is not foreshadowing for something. 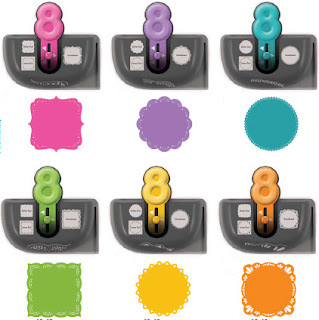 So, of the CHA Winter 2012 products that I have spotted, this is a list of my favorites, and I will likely pick them all up - if anyone out there knows how I like to buy, and ultimately hoard scrapbooking products. Basic Grey: There is one paper line I'm liking over the others - Plumberia - I do love the backside of the last paper - I'm calling it a faint tartan, but it will work with alot of things. I can't say enough about the wax seals they brought out in this collection though - those are awesome! 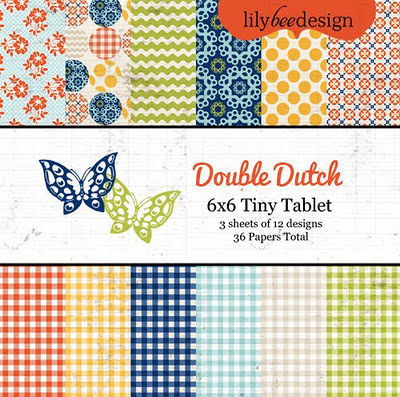 Lily Bee: I love the gingham papers in the Double Dutch collection. I want the 6x6 pack just for the gingham, could care less about the flip sides of the papers, as I'm always looking for a 'solid' that's neither a stripe nor a polka dot. And by solid what I mean is one colour - not a pattern. Ranger - Distress ink Markers - yes, I want the whole set! How can you go wrong, it's an economical way to get all of the inks if you are just planning on doing watercolour or multi colour stamping on one image. Ranger - New and innovative product - Texture Treads - I'm looking forward to playing with this to see exactly what they do, but I'm loving the Leafy Branches. I believe these texture treads are likely made of vulcanized rubber, you pour melted UTEE into it and let cool ... can't wait to see how they work. 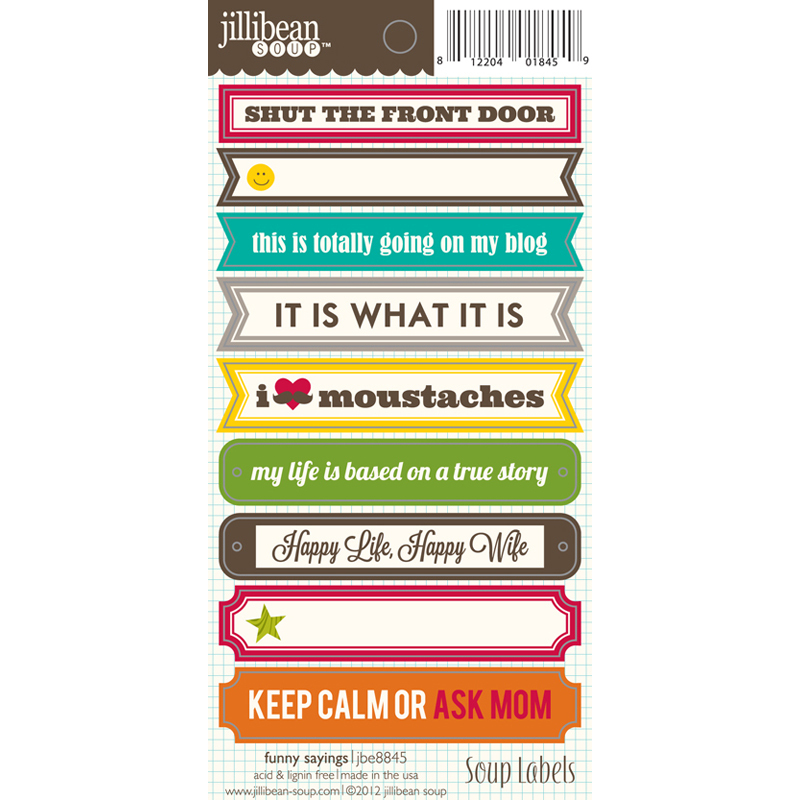 Jillibean Soup - I thought these little sayings were all quite humorous. Well that about sums up my likes on CHA 2012 Winter - actually I'm sure there are tones more, but these are the ones that really stuck out. Notice no paper collections - usually there is at least one collection I'm just dying to get my hands on. Just tools and new products. So... all my retailer friends ... here is the Lorena's Best Guess list for this season - free of charge LOL! Simply subscribe to Drew's You Tube channel. 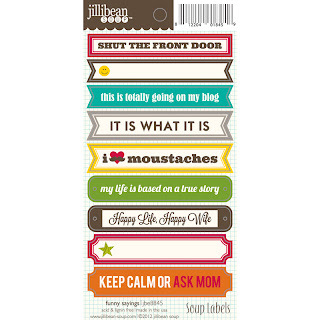 So, like any good scrapbooker I've been following all the CHA 2012 sneak peeks ... and well I must say overall I'm not really impressed. There are a few little things hear and there that are cute, some things that I will probably pick up, but nothing that is screaming "Lorena you must buy me"
I'm tying to figure out what the anticipated trends are going to be for the upcoming year ... 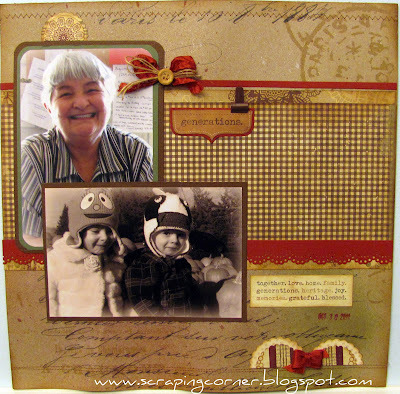 I would like to say that Vintage has yet another round in the ring, and that Kraft paper will stick around again for another season... these are two of my favorite things in scrapbooking. TWINE - it's showing up everywhere, and everyone is putting out their version of it too. Personally I love bakers twine, and even more over I love the "natural" twine. HONEYCOMB - it seems as though every company has either honeycomb or chicken wire on something weather it be a stamp, a resist, a patterned paper, or digi. WOODGRAIN - again, not something I don't care for, I like it. 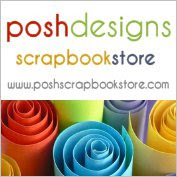 Many different takes on it out there, from painted shabby chic to, white on Kraft, to stamps to natural wooden pieces. FRENCH INSPIRED - from the Eiffel tower, to fleur de lis, to damask - it's everywhere - it's vintage, it's c'est bon! BUTTERFLIES (again) - not sure if it's still or again. These little papillon are showing wherever you look - they seem to be tastefully done, not childish or cartoonish, but realistic and wholesome. Well there you go folks, there is my take on the upcoming Scrapbook Trends of 2012 (so far) lets see how far off I am going forward. What have you seen in trends this season? So if you missed the January class I will be running the same class again. This class will include SIX markers to get you started as well as different techniques of colouring and blending. 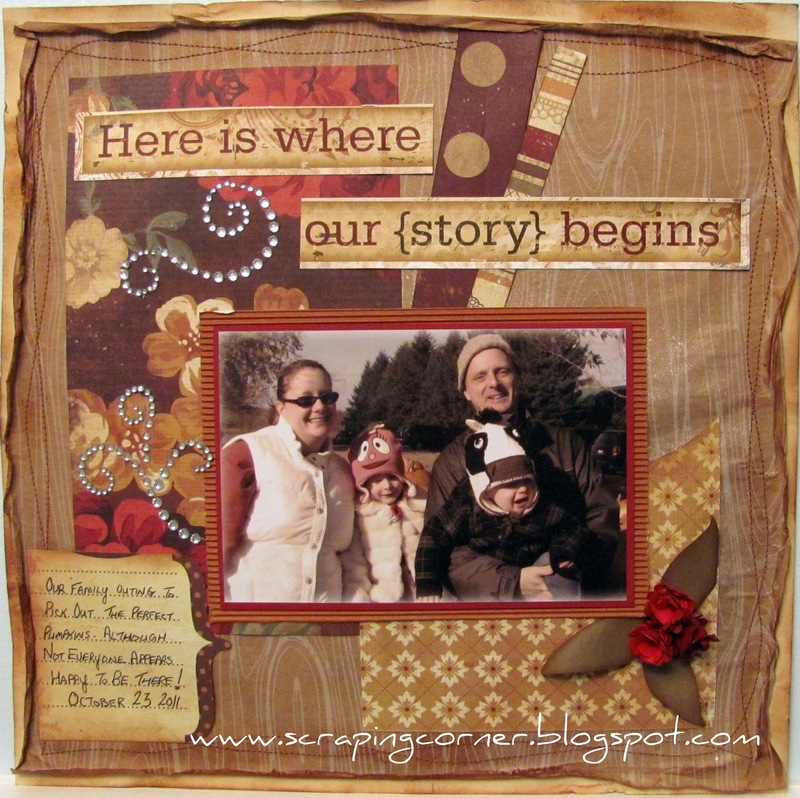 Contact Auntie Em's Scrapbooking 613-938-4888, to reserve your spot for the February 4th class. Come early and enjoy the stamp exchange too! All you need to bring for the stamp exchange is 4 or 5 rubber or cling mount stamps - paper and your favorite ink to stamp with. You get your name into a draw if you bring a sample using your stamp that you bring. I love to cook, I love my kitchen, I love using lots of spices, I love to make hearty meals, and I love to make soup. 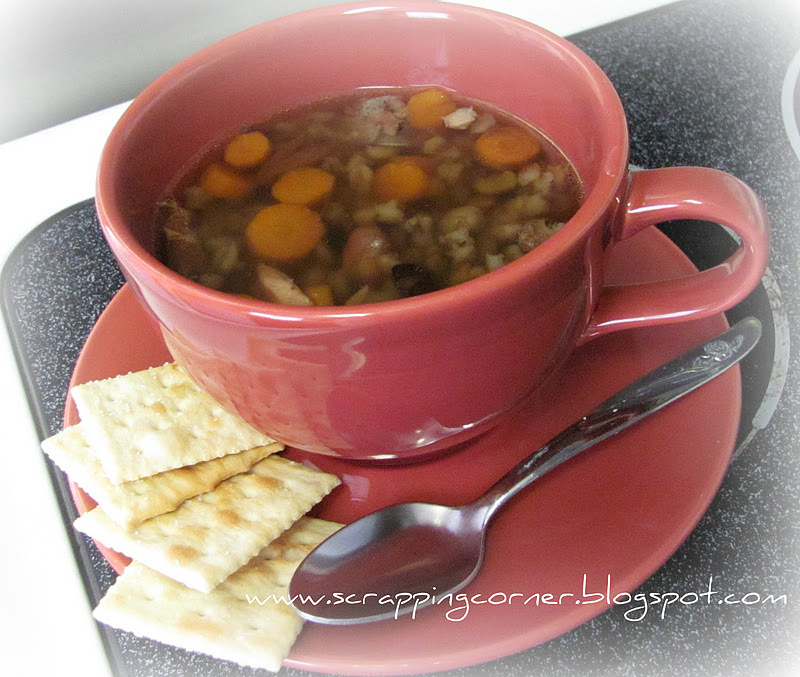 This winter I've been making alot of soups for a few reasons. They are easy to make with leftover roasts, turkey, ham etc. They can cook on the stove all day on low without thinking about them or having to babysit the stove. They can be stored in Mason jars for a variety so you are not eating the same soup for a week. They are relatively low cost in making. But most importantly my kids LOVE soup! I always start with a recipe, or rather I should say I look up 2 or 3 that catch my interest with ingredients I have, then I usually take the best points from each of these recipes and then put my own twist on it - like adding a bay leaf or blending part of the soup with my hand mixer to make it appear creamy without adding milk, things like that. 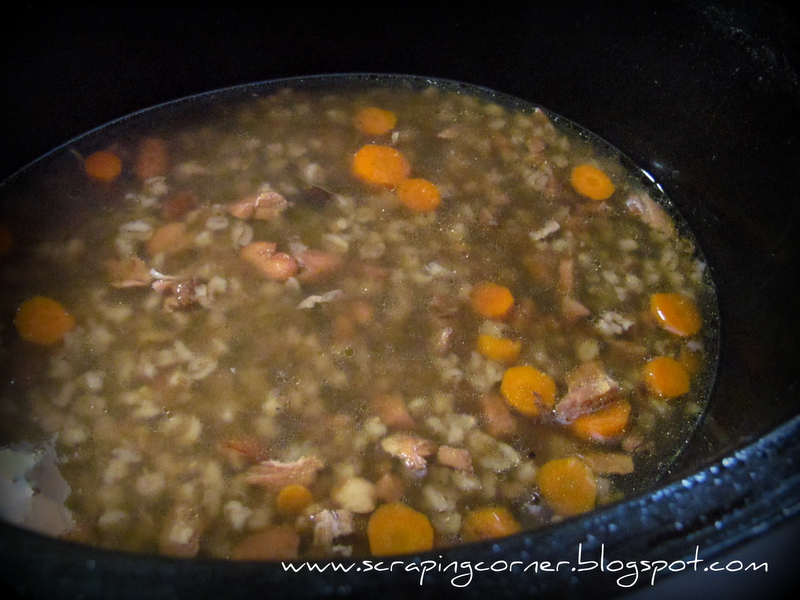 So far this winter I have made Butternut Squash soup, Roasted Sweet Potato, Cream of Broccoli, Beef Barley, and just today I made the most amazing Ham and Bean soup. Now, Lorena, there is no way it could be the Most Amazing soup if you don't share how you did it, and what made it unique now would it! It started out the night before, as a huge bone-in ham. I threw a large handful of whole cloves into the bottom of my crock-pot and put the ham on top, filled with water, set to low, and went to work! Yup, the house smelled GREAT when I got home. Then I poured about a 1/4 cup of real Maple Syrup over the top of the now exposed bone and let it cook for about another 45 minutes now on high. Save all the liquid, strain the cloves out. Chop up about a cup of the ham, maybe more, and add a full package of bean soup mix (soaked over night and boiled for about an hour). I chopped about 6 carrots and 5 stalks of celery. Normally I would add a small onion, but beans alone do a number on my husbands 'gas' situation not to enhance that with added fuel of an onion. Toss in a bay leaf and let the crock-pot go for another day on low. So simple, and man so delicious! If you have some great tips or tricks to soup making, or if you have a recipe you would love for me to try out on my family, please leave me a comment. 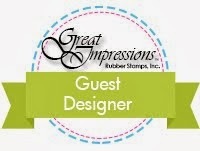 I am happy announce that I will be staying on with Auntie Em's Scrapbooking as a design team member for 2012! As well we will be continuing on with the Page Maps calendar for the monthy sketches. The 2012 Calendar has a new feature to it that includes a technique each month, and this is what the Design Team will be focusing on. Again we will be using the same products and showing you just how different you can make layouts with the same items. This month I have done two layouts for your viewing pleasure. I don't believe that Mellisa is doing this layout challenge with the Pink Paislee. Emma provided us with Pink Paislee's Snow Day collection, and baker's twine. I have to tell you I love this paper line, the grunged up look of the snowmen and mittens was perfect and combining pink, red together with blue and brown made for so many possibilities. This month the technique is "unique titles"! For my First Layout I have titled it "I Love U" and I have replaced the 3 photos from the sketch with one long photo (you all know how much I don't like multiple photo layouts) I chose a photo from my wedding, as it was the only photo I have with both my Hubby and I looking totally in love... usually it's me behind the camera taking shots of the kids, or him taking shots of me and the kids, rarely do we get a shot of just the two of us together. So, for this layout I played up the red and the hearts in the paper. I used an assortment of Harmonie chipboard embellishments which I heat embossed with a metallic powder. A Prima flower and a Prima centre. For my title, I layered circles and used Basic Grey chipboard letters and strung them together on a jute banner. On two of the hearts in the snowman paper I used red stickles and then glossy accents to bring it up a notch! I apologize for the quality of the lighting on the photo, it is not exactly how I wanted it. My second layout, I'm have titled it "Snow Angel" and I focused in on the winter and snow aspect of this collection. I used Core'dinations paper for my title and dry embossed it with a snowflake Cuttlebug folder then sanded it to bring out the core of the paper and replaced the "o" in snow with a snowflake. For the "Angel" I dry embossed again this time with a tiny polka dot folder and highlighted with some white ink. The die cut behind the layout is very old, I'm not even sure what company it was who made it, but its been in my stash for years! I did some machine stitching and distressing on the layers. I used two brads to anchor each side of my baker's twine bow.